If you’ve never heard of Chives, well, try them out through this recipe. This plant makes for a great taste-enhancer in a variety of recipes and is easily available in dried form. If you love using herbs like dried oregano, thyme and parsley, Chives will make for the perfect addition to your kitchen shelf. Team it up with cheese, and you’ve got a winning appetizer that’s perfect for parties. Combine the flour, baking powder, baking soda and sugar. In a separate bowl beat the eggs and mix in the melted butter. Add buttermilk and ½ cup cheese to this mixture. Add both mixtures and combine everything nicely to ensure no lumps remain. Now stir in the remaining cheese and chives gently. Preheat the oven to 375 degrees F or 190 degrees C and grease 2 muffin pans with butter. 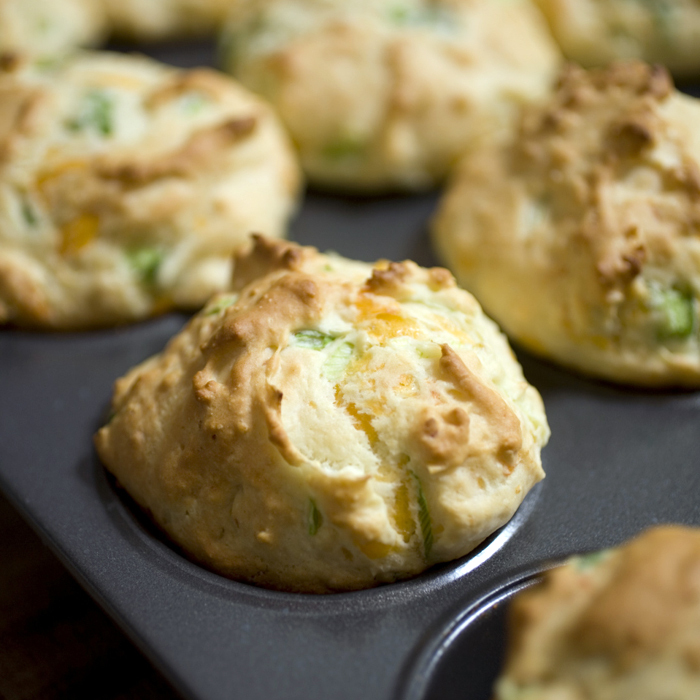 Pour the batter into the muffin pans and bake for about 18 – 20 minutes or until the muffins turn golden brown. Tip: You can also bake the batter as cupcakes or a complete cake and then cut it into bite-sized pieces of preferred shape. Remove from the oven, scoop out and transfer to a serving tray. Serve warm!